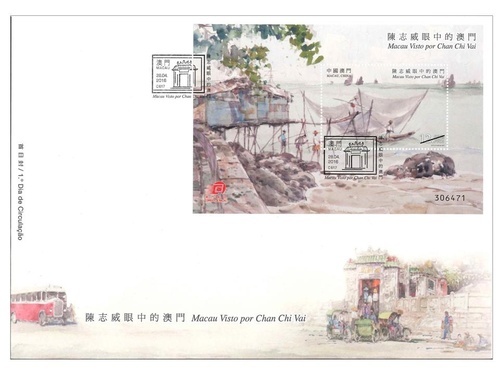 Stamp Issue "Macao Seen by Chan Chi Vai"
Chan Chi Vai is a well-known local painter and calligrapher, showing great affection of Macao. 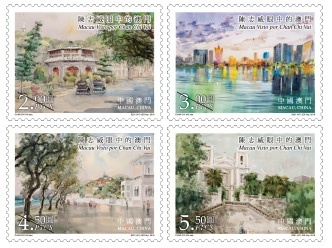 As early as the 1960’s of last century, he has been engaged in sketching, watercolors and other creative arts. 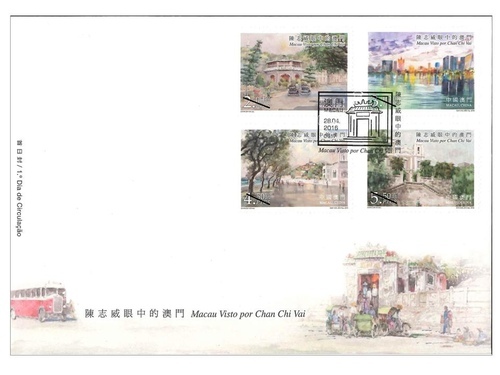 Developing different styles, excels in the Chinese paintings of landscapes, human figures, and flowers-and-birds, calligraphy in semi-cursive script and cursive script, and even the seal carving. 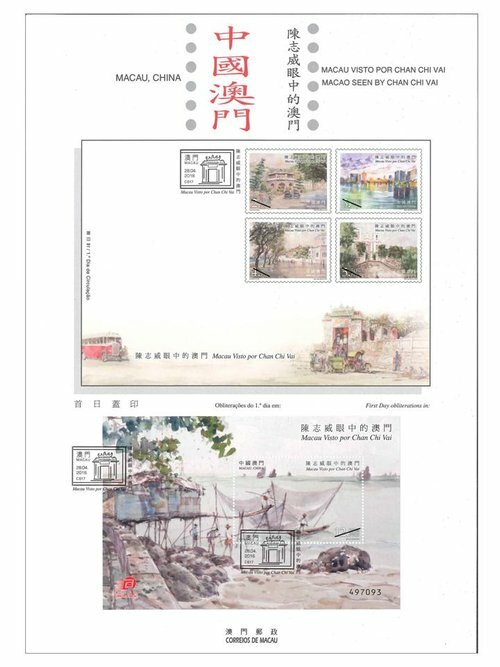 Macao Post will issue the stamp theme “Macao Seen by Chan Chi Vai” on 28th April, 2016, through the works of the painter to view the scenery of the past and present of this small city, awakening people to value the cultural treasures that are left behind by the ancestors. 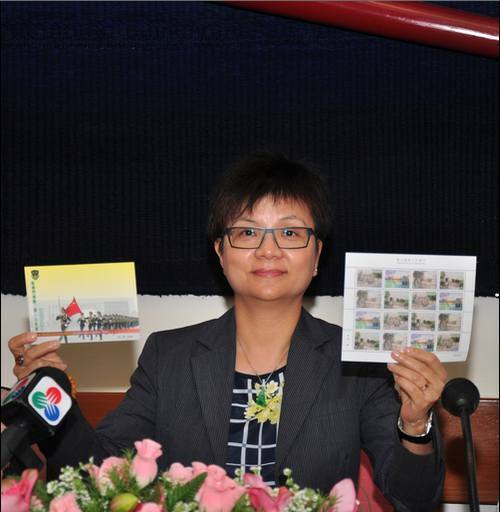 This issue includes a set of four stamps and one souvenir sheet, which paintings are part of the most representative works of Chan Chi Vai. 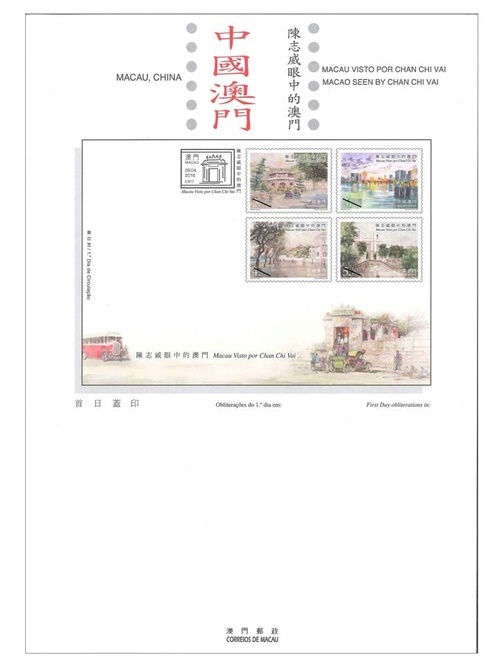 The composition of the stamp design and the text of the information brochure are come from Mr. Chan Chi Vai. 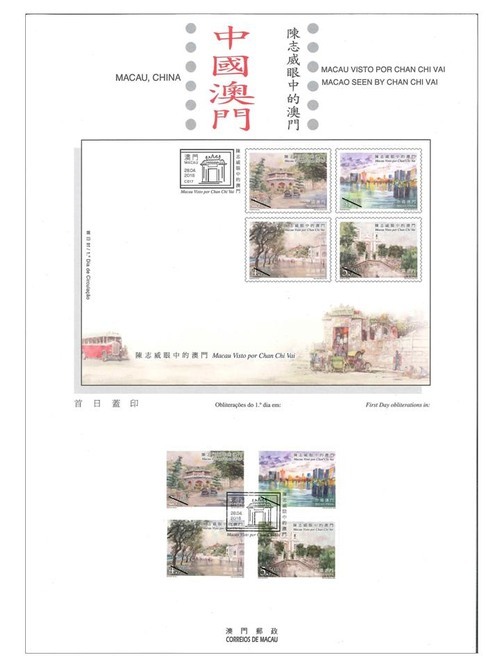 This is the fifth theme in 2016. 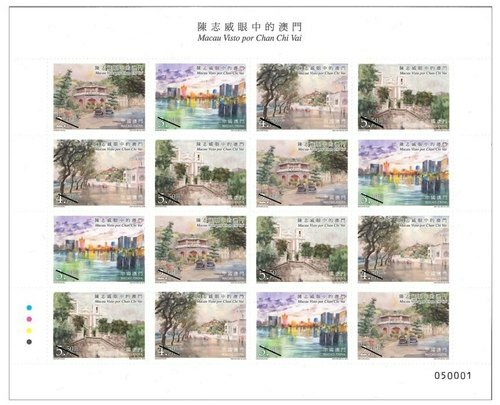 The previous issued stamps are “Lunar Year of the Monkey” on 22/01/2016, the label stamp “Lunar Year of the Monkey” on 22/02/2016, “Scenery of the Imperial Palace in Beijing” on 01/03/2016, “325th Anniversary of the Establishment of the Public Security Police Force” on 14/03/2016, and “Chinese Classical Poetry – Ballad of Mulan” on 08/04/2016. 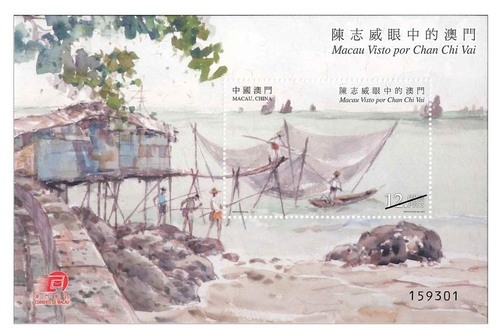 Technical Data of Stamp "MACAO SEEN BY CHAN CHI VAI"